Timekeeping is something that railways take seriously – but what happens to trains when the clocks changes from ‘normal’ time to daylight savings, and an hour is either lost or gained? Deutsche Bahn cancel trains due to run in the ‘missing’ hour, while overnight trains just keep on running. From Spiegel Online, via Google Translate. Daylight saving time starts on the night of Sunday. A railway spokesman explains how the 12,000 station clocks are changed – and why suburban trains are cancelled. 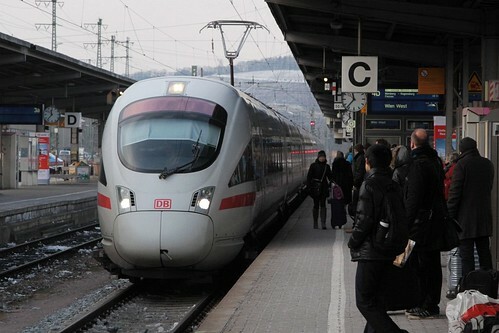 Spiegel Online: Would Deutsche Bahn like to abolish the time change? Stauß: We have arranged ourselves well with that. They have been around for many years – it’s been routine for us for a long time. The total of 12,000 station clocks are already centrally controlled, and the conversion works flawlessly. Spiegel Online: But trains do not get a problem when the night is suddenly one hour shorter than on Saturday? Stauß: For the trains that drive this night, we have to take that into account in the timetable. This works well, and the costs are limited. Spiegel Online: Do not the trains have any delay? Stauß: The impact on customers is very low because there are hardly any passenger trains in the middle of the night. The night trains usually have longer stays anyway, so-called travel times buffers that they use that night. Some commuter trains are also missing. The S-Bahn, for example, scheduled to start at 2.15 clock, just does not drive, because the hour at night, yes, does not exist. Spiegel Online: And what about freight trains? Stauß: In fact, they drive a lot at night, but here too the time change is unproblematic. On the one hand because of the time buffers in the timetables, on the other hand, because a possible later arrival of the goods at the customer on a non-working Sunday is usually not as serious as on a working day. The same thing happens for French rail operator SNCF (via Google Translate). At the start of summer time, the night Intercités roll and try to recover a few minutes on their schedule to get closer to the theoretical time but will arrive late at the arrival station. At the end of winter time, the Intercités at night stop at a station between 2 and 3 am and arrive at the scheduled time at their destination station. Dutch railfan website Treinenweb explains how Nederlandse Spoorwegen deals with the change. In the night of last Saturday on Sunday, summer time started again and we were allowed to move the clock one hour forward. A pressing question that we regularly hear is: How do the night trains run during these time differences in summer and winter? And what does the station clock do? We have sorted it out …. As soon as daylight saving time starts and the clock moves forward by an hour, the train will be canceled from 2:04 AM as an example, because after 1:59 AM the clock will automatically advance to 3:00 AM. In this case nothing special changes to the train number. In the night when the summer time goes to winter time, there is therefore an extra hour, and so two trains run at the same time, but then at the moment that the summer time passes to the winter time. An extra train is then simply inserted. This then departs at 2.04 a.m. and in the new time difference an hour later also at 2:04 a.m. But for the Trans Siberian things get really complicated. 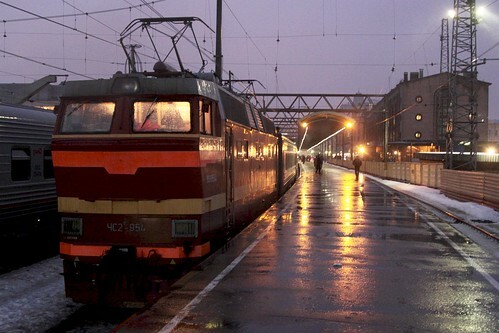 Russian trains used to run to Moscow time whilst in Russia, even if local time was 7 hours ahead of Moscow. However, but RZD Russian Railways ended this century-old practice from August 2018 and now use local time in all their timetables and booking systems. Russia made Daylight Saving Time (DST) permanent in 2011 making Moscow GMT+4 all year round but in 2014 they changed their minds and abolished it altogether, so Moscow is now GMT+3 all year round. So China is now permanently 5 hours ahead of Moscow as they too have no DST. Mongolia was also permanently 5 hours ahead of Moscow and on the same time as Beijing, until the Mongolians changed their minds and reintroduced DST in March 2015 making them GMT+8 (Moscow +5, Beijing+0) in winter but GMT+9 (Moscow+6, Beijing+1) in summer. But in 2017 they’ve changed their minds again and have once more abolished DST so Mongolia is now GMT+8 or Moscow time +5 all year round. Until someone changes their mind again, of course. After years of discussion, members of the European Parliament voted overwhelmingly in March 2019 to abolish the practice of turning the clocks forward and back by one hour each spring and autumn. While this is a significant pronouncement for a parliament that doesn’t get much coverage, the real force behind the decision lies elsewhere—not just in Europe’s national governments, but specifically in their transportation ministers. 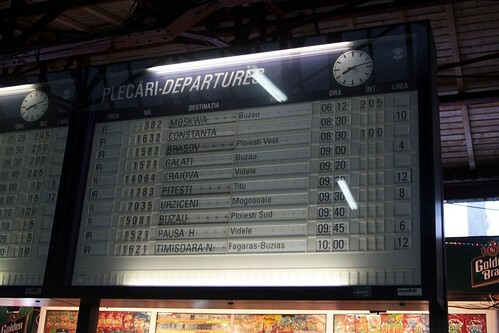 In a largely borderless union where many airports, some major railway stations, and even a few public transit systems serve more than one country, the potential for transit chaos from mismatching clocks is substantial. “It would make no sense if Germany or Hungary and Italy and Austria had different time systems,” said Austrian Transport Minister Norbert Hofer to newspaper Die Welt. In America Amtrak trains do the same ‘wait an hour’ trick when daylight savings time ends. Amtrak operates according to prevailing local time, either standard time or daylight saving time. At the spring time change (second Sunday in March), Amtrak trains travelling overnight will become one hour late and will attempt to make up the time. At the fall time change (first Sunday in November), Amtrak trains travelling overnight will normally hold at the next station after the time change then depart on time. Arizona does not observe daylight saving time. Please observe footnotes in schedules for trains serving Arizona to determine your departure or arrival time. While in Australia interstate rail operator NSW TrainLink just keeps running their trains on NSW time when they cross the border into Queensland, a state that doesn’t observe daylight savings time. This entry was posted in Trains and tagged America, Amtrak, Australia, Deutsche Bahn, France, Germany, Nederlandse Spoorwegen, Netherlands, rail operations, Russia, Russian Railways, SNCF. Bookmark the permalink.